The Wallabies have vowed to win back the fans after drawing their lowest home Test crowd this century. Only 14,281 supporters turned out at Cbus Super Stadium to watch Australia survive a late Argentine onslaught and win 32-25 on Saturday. There were six tries and plenty of attacking rugby from a hot-and-cold Wallabies outfit but the code is paying the price for a lack of Test success, and some dour play, in the past decade. The fickle Gold Coast market also must shoulder blame for the paltry attendance - more than 1000 fewer than when Fiji played in Canberra in 2010 (15,438) - and the tourist strip is in danger of losing hosting rights. "There's lots of factors going on there but in the end we want to be playing in front of the biggest crowds we can find," said Australia coach Ewen McKenzie. "It's a great venue and it would be nice to have a full stadium; that's the objective, to fill stadiums. It's up to us to do our bit as a team, we have to try and get people coming back and watching." McKenzie has attempted to shape an attractive, attack-oriented style since taking over from Robbie Deans but his side is still struggling to captivate the public. Crowds in all rugby venues have dropped markedly over the past three years, with numbers only spiking for last year's British & Irish Lions series. Tests this year in Brisbane, Melbourne and Perth were also well down in a worrying sign for the cash-strapped Australian Rugby Union. Despite having 80% of possession in the first half, and playing 78% of that time in Pumas' territory, Australia scored only one try before the break. They also squandered a 29-13 lead with 20 minutes left, to face a menacing Argentine scrum on their line in the last minute. 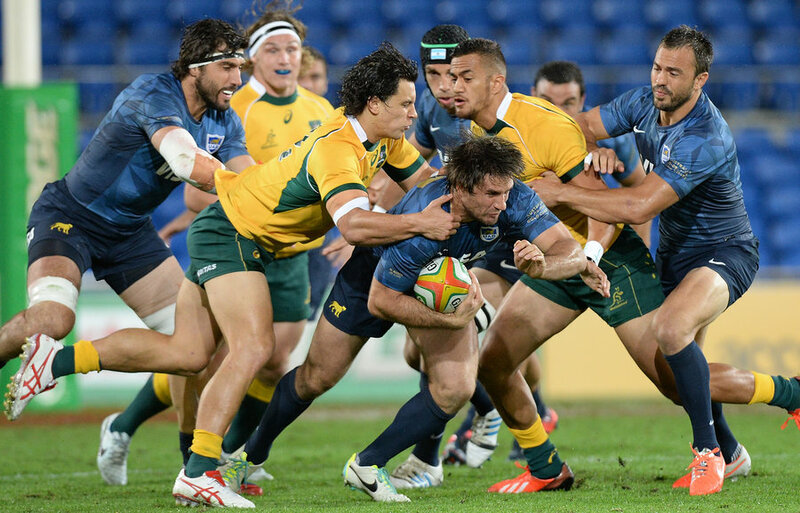 The Wallabies were then let off the hook when the Pumas pack engaged too early. "To be honest, right throughout that whole game I felt really comfortable until those last two minutes," skipper Michael Hooper said. "To get that short-arm (penalty) at the end was nice. The heart was pumping pretty hard there."